Shiner Roofing, Siding and Windows is one of the largest and most dependable residential and commercial roofing contractors in Northern Virginia, Maryland, and Washington, D.C. We’ve served McLean, Great Falls, Vienna, Bethesda, and the rest of the region since 1981, and more than 16,000 satisfied customers have taken advantage of our experience and expertise. We are fully bonded and insured, and consistently earn an A-plus rating with the Better Business Bureau, and be sure to check out our reviews on Angie’s List. Shiner only works with the finest manufacturers in the roofing and home improvement industry, including CertainTeed, GAF, Sunrise Windows, and other reputable companies. 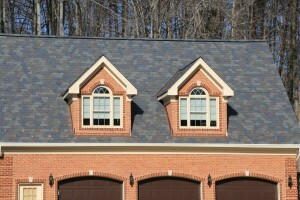 We also work with all types of roofing materials, including asphalt, metal roofing, cedar, slate, and more. Whether your home or business is in Leesburg, Rockville, Georgetown, or Silver Spring, your Shiner roofing consultant will conduct the most thorough inspection in the industry, and no detail will be overlooked. We’ll even provide 3D aerial images of your roof using an innovative satellite assessment system, saving you the time it would ordinarily take our roofing expert to take outside measurements during your initial consultation. For a professional roof installer who will provide a smooth reroofing experience from start to finish, contact Shiner, the most established and respected roofers in Fairfax County, Reston, Alexandria, Centreville, Lincolnia, Bailey’s Crossroads, Chantilly, Oakton, Gaithersburg, Burke, McLean, Annandale, West Falls Church, Potomac, and elsewhere in Northern Virginia, Maryland, and Washington, D.C. Shiner Roofing, Siding and Windows is a licensed contractor in Maryland, Virginia, and the District of Columbia.